The world’s largest internet companies are turning to clean power to run their data centers like never before. This month we saw huge clean power deals from Apple, including big solar projects planned in California and Arizona, and a big wind buy from Google to provide local power for its headquarters in Silicon Valley. But it wasn’t always this way. It’s only been in the last several years that Apple, Google, Facebook and others have been embracing clean power as a viable option to provide a significant amount of power for their data centers, and it’s taken years for the power industry, and the internet companies themselves, to adjust to and learn about this emerging world. If we take a peek back at this history, we can see how it slowly emerged. Let’s take the state of North Carolina where Google, Facebook and Apple all have some of the largest data centers in the U.S. to power some of their east coast operations. Work in that region provided key learnings for how these companies developed their individual strategies for how to adopt and embrace clean power. I took my first road trip around the area in the summer of 2012 and wrote about the companies’ complicated relationship with the region’s dirty and clean power options. In late 2013, I took another trip to investigate Apple’s already built monumental solar farms there. Back in 2006, when Google first started looking at the state for building its east coast data center (the facility was announced in early 2007), clean power wasn’t at the top of mind for even Google, who later pioneered using clean power and has invested over a billion dollars into it. In those years, North Carolina’s power grid only generated four percent of its electricity from renewable sources, with coal at 61 percent and nuclear power at 31 percent. Google just plugged into the grid there anyways without a working strategy to incorporate clean power. All the internet companies have. Three years later in 2009 when Apple and Facebook were considering building data centers in North Carolina, clean power was still an early idea. It was attractive in some emerging ways, but the state and local utilities weren’t offering the type of clean power options that the internet companies wanted. That’s why in late 2011 Apple started building its unusual and massive solar farms in the area. Built by SunPower, these solar farms now stretch across hundreds of acres and now generate more solar power than Apple needs for that facility. The company also has a fuel cell farm built beside the data center. Apple agreed to plug into the state’s grid, but it was also generating its own clean power that went back onto the grid and made up for its use of the dirty grid power. Apple’s solar farms ended up putting pressure on local utility Duke Energy and the state to recognize that if there was ample clean power provided to these customers from the power grid, then they wouldn’t need to build their own. In late 2013, Duke Energy officially asked the state’s regulators if it could sell clean power from new sources to large energy customers that were willing to buy it — yes, thanks to restrictive regulations and an electricity industry that moves at a glacial pace, this formerly wasn’t allowed. Now Duke Energy has a clean energy supply program in the state. And just this week, Duke Energy issued a request for proposal asking for project builders to build 50 MW worth of solar projects in the state. So utilities and state regulators are adjusting to internet companies’ desires, but the internet companies are learning, too. While Apple’s solar farms and fuel cell farm in North Carolina were the first of its kind and ahead of the curve, Apple’s deals with First Solar in California and local utility Salt River Project in Arizona seem somewhat more sophisticated. They’re far larger, and they were done far in advance of construction. Apple’s solar farm in North Carolina. Image courtesy of Apple. Apple will buy solar power from First Solar’s planned solar farm in Monterey County via a fixed, low-cost 25 year power purchase agreement, and will also buy solar power from Salt River Project’s farms in a similar way, too. Apple’s CEO Tim Cook has said that the way that the deal in California, in particular, is structured the company will actually save money in power costs over the long term. So what was once a more expensive, niche source of power has now become a substantial clean power option — and one that now big name internet companies feel more comfortable embracing. In California, utility-scale solar farms — which is basically what Apple is buying from in Monterey County — can be built for as low as $1.68 a watt, according to GTM Research, thanks to a combination of private markets, a decade of lowering technology costs and federal and state incentives. Solar panels are at the cheapest time in history. Wind power, too, is similarly cheap. Google’s deal to buy power from the revamped Altamont Pass shows how wind turbines have come down considerably in price and up in power. Now, the official embrace of these internet companies and clean power is just one part of the story. 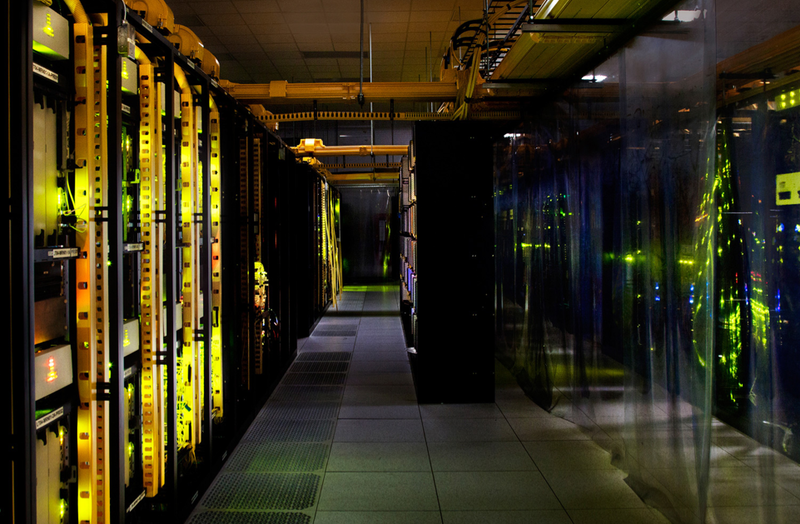 There’s a whole host of smaller data center operators that can’t afford to deal at the scale of Google or Apple. But Google and Apple are still paving the way for the smaller companies by changing utilities minds that there’s a good business to be had in clean power. At the end of the day, data centers are only consuming a couple percentage points of U.S. energy. So they’re not necessarily the leading energy problem these days, but since they are owned by influential and consumer-facing brands, they could do a lot to initiate the development of clean power outside of the tech industry. So begins the relentless onslaught on silicon solid state might. Tubes also necessary for welding robots and other high-voltage applications. An important Russian export to this day. The companies have a lot of money abroad (Caymans,Ireland & co). They can not bring it home, but is perfect to be paid for government-funded things. This can be sell later tax free. As an uninterruptible power supply for themselves is absolute unsuitable. That’s great. Now could someone please tell DOE and the WH that the also rans in solar played no part in the downward cost trend? The sector winners did all of the heavy lifting while the DOE-funded picks are vacant buildings in CA, MS, and MA. I remember just a couple of years ago, when people believed solar power didn’t work and was a government rip-off. There were congressional hearings. Can we now have hearings about the hearings?